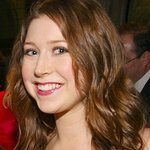 New Zealand-born singing sensation Hayley Westenra has recorded a special message for UNICEF. The 21-year-old shot to stardom in 2003 when her first international release, Pure, went to number 1 on the British charts. Now she is the youngest UNICEF Ambassador in the world, and she has recorded a special public service announcement asking people to join her by becoming a UNICEF Global Parent. In 2005, Westenra visited Ghana with the charity to see firsthand the work UNICEF does. While there, the young star launched ’Hayley’s Bikes for Ghana’, a project that has already provided 6,000 bikes for children so they can attend school and find a better future. She also supports ‘PlayPumps for Ghana’, a project which aims to take clean water to over 6,000 children and their families. Westenra is also involved in the Women’s Environmental Network, a group that raises awareness of environmental issues affecting women. Hayley’s latest PSA can be viewed here.